Researchers at the University of Warwick have developed two tests that could potentially detect autism in children. Both tests, one blood, and one urine are based on a previously discovered link between damage to proteins in blood plasma and autism. The team believes the tests to be the first of their kind, and hope that they could help improve early detection of autism spectrum disorders (ASD). The study, published in the journal Molecular Autism, confirmed previous research that had linked certain mutations in amino acid transporters with ASD. 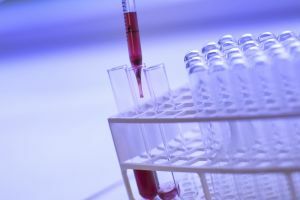 Since proteins in blood plasma can be damaged by two processes, oxidation and glycation, and the researchers developed tests that can detect that damage. Armed with this knowledge and using the most reliable of the tests they developed, the team took urine and blood samples from 38 children with ASD, as well as a control group of 31 children who had not been diagnosed with ASD. With the help of an artificial intelligence (AI)-developed algorithm, the team figured out how the two groups were chemically different. Researchers still do not completely understand why people develop autism. About 30-35% of cases of ASD are linked to genetic variants, but there is no exact formula for predicting autism. As with many other conditions, genetics, environment, and other factors all play a role. In recent years, there’s even been evidence proposed that gut bacteria could indicate whether or not a person has an ASD. Finding biomarkers for ASD wouldn’t be far off what the team from Warwick has accomplished, as their research demonstrated that measuring protein damage could be a reliable indicator of whether or not a child has ASD. ASD cases are characterized by a wide variety of symptoms that can range from mild behavioral issues to debilitating compulsive behavior, anxiety, cognitive impairment, and much more. Because its symptoms are so varied and the causes aren’t yet fully understand, diagnosis and treatment can be an arduous journey. If tests can be developed that allow families to receive a diagnosis sooner, it will give them the ability to seek intervention earlier, too. Which can be essential for helping kids with ASD, and their families, navigate the world and improve their quality of life.